The Instamatic system was a huge hit for Kodak. 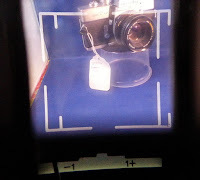 Most of the Instamatic cameras were simple and inexpensive-Other than simpler film loading not much different than previous cameras, with a simple meniscus lens and single or two speed shutter. Metering was via a Gossen Selenium cell--Gossen was known for separate handheld light meters. 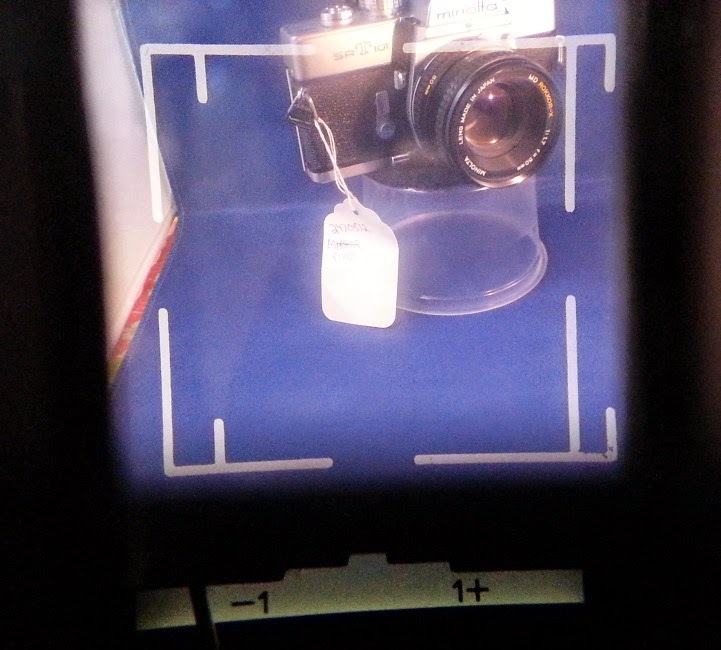 This had the meter pointer visible in the viewfinder. 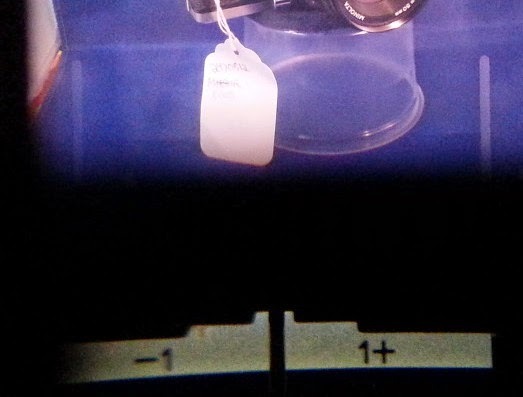 Viewfinder showing frame lines and meter reading underexposed. 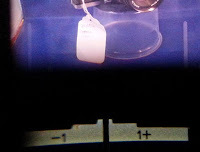 Film speed is set via notches on the cartridge. Properly exposed meter indication. Oddly for a selenium meter this one is still functional after 50 years, although I have not verified accuracy. Lens collapses for storage--this also locks the shutter. Uncluttered top with only hot shoe and shutter button. Like most paper-backed film, the counter is numbers on the paper. Zone (guess) focusing is a handicap, especially with a lens this fast--wide open apertures were probably best left for distant subjects. However, zone focusing is still considerably better than no focusing.